BOB DOUGHTY: I’m Bob Doughty. STEVE EMBER: And I’m Steve Ember with EXPLORATIONS in VOA Special English. Today we look up into the skies to explore the past and present of the tallest buildings in the world. Skyscrapers were first built in the late nineteenth century. Engineers then probably would not believe the soaring heights of today’s tallest buildings. STEVE EMBER: Today this would not be considered much of a skyscraper. But at the time, this height was striking. The structure was built using a steel frame. 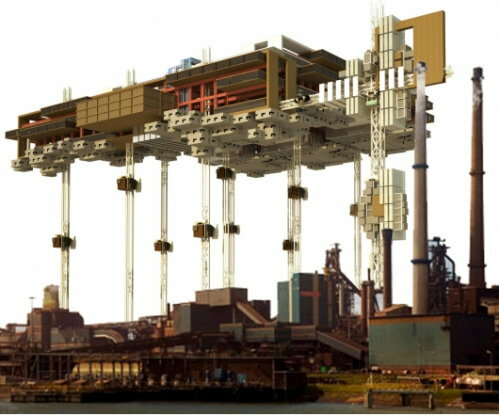 This frame was load-bearing, meaning that the steel skeleton would support the building’s weight, not its walls. Before this technology, a taller building required creating thicker stone walls to support its weight. Thick walls are extremely heavy, and allow less room for windows and light. The next building to hold the record no longer exists. 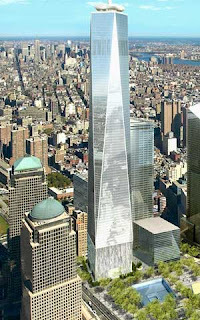 One World Trade Center tower in New York City was completed in nineteen seventy-two. It measured four hundred seventeen meters. It was destroyed in the terrorist attacks of September eleventh, two thousand one. Chicago’s Sears Tower is now called the Willis Tower. It became the world’s tallest building in nineteen seventy-four, at four hundred forty-two meters. The next records for tallest buildings are in other countries. 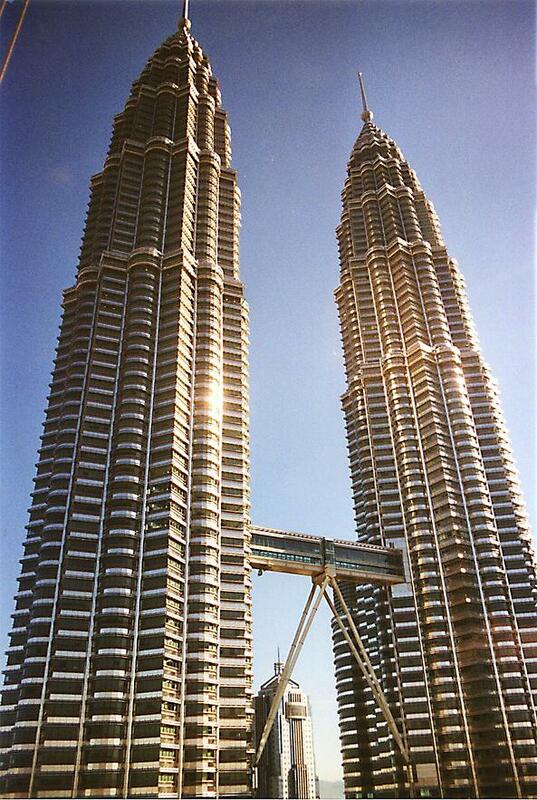 The two Petronas Towers in Kuala Lumpur, Malaysia measure four hundred fifty-two meters. 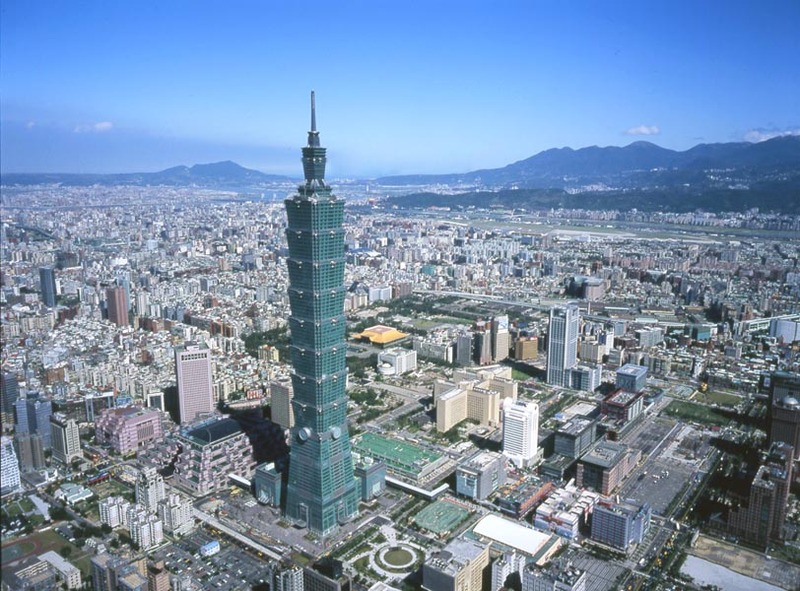 They were followed by the Taipei 101 building in Taiwan, which is five hundred eight meters tall. STEVE EMBER: The most recent addition to this list is the Burj Khalifa in Dubai in the United Arab Emirates. This building measures eight hundred twenty-eight meters in height. It cost an estimated one and a half billion dollars to create. 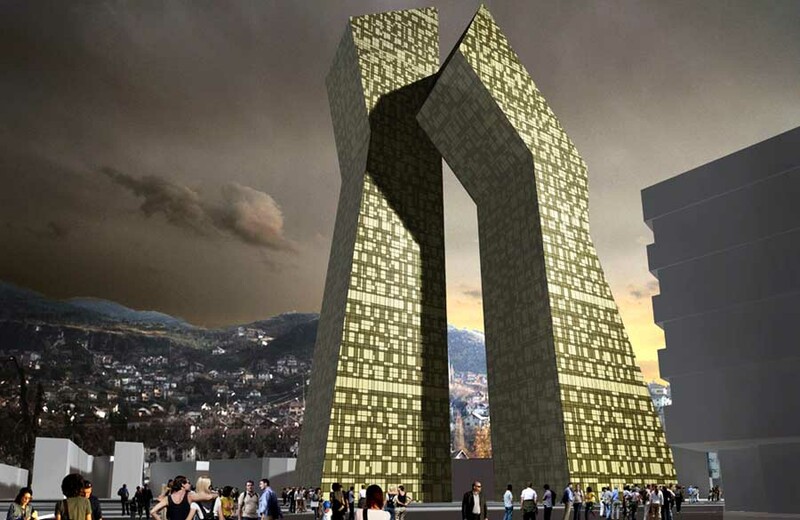 It contains space for apartments, offices, a restaurant, hotel and Muslim religious center. The building’s footprint is shaped like a “Y”, with three wings extending from its center. This design was influenced by the shape of a desert flower that grows in the area.The building’s Web site says that as many as twelve thousand people were working on the building at the same time. BOB DOUGHTY: You might be wondering how the height of a building is officially measured. The Council on Tall Buildings and Urban Habitat is in Chicago, Illinois. The group is supported by building designers and experts connected to the operation of tall buildings. The Council helps decide on the official heights of buildings. The Council also sets rules about what defines a building. For example, the CN Tower in Toronto, Canada is not included in the tallest building category because it is a communication tower. To be a building, half of a structure’s height must have usable floor space. 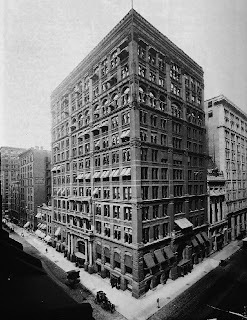 STEVE EMBER: Calculating building height was not a complex measurement in the late nineteenth century with early skyscrapers like the Home Insurance Building in Chicago. The Council explains on its Web site that early tall buildings were generally measured from the ground floor to the top of the building, not including flagpoles. By the nineteen thirties, some of the possible record-making skyscrapers were being designed with spires. Spires are the thin, pointy tops of buildings. These spires were considered an architectural part of the building, so their length was included in the building’s height measurement. BOB DOUGHTY: Sometimes measurements can lead to debates and disputes. 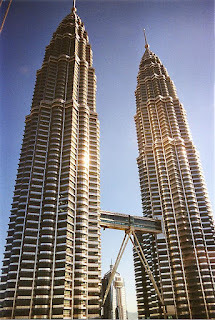 The Council on Tall Buildings and Urban Habitat decided in nineteen ninety-six to include the height of the spires of the Petronas Towers. This led to its surpassing the height of the Sears Tower in Chicago by about ten meters. 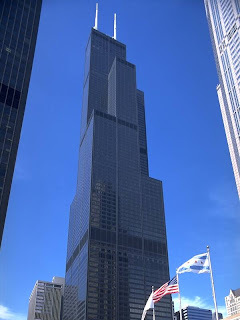 Many people felt this was unfair, because the Sears Tower’s tall antenna was not included in the official height measurement. As a result, the Council now considers other height categories, such as highest occupied floor and highest antenna. The Burj Khalifa in Dubai is not only the world’s tallest building architecturally. 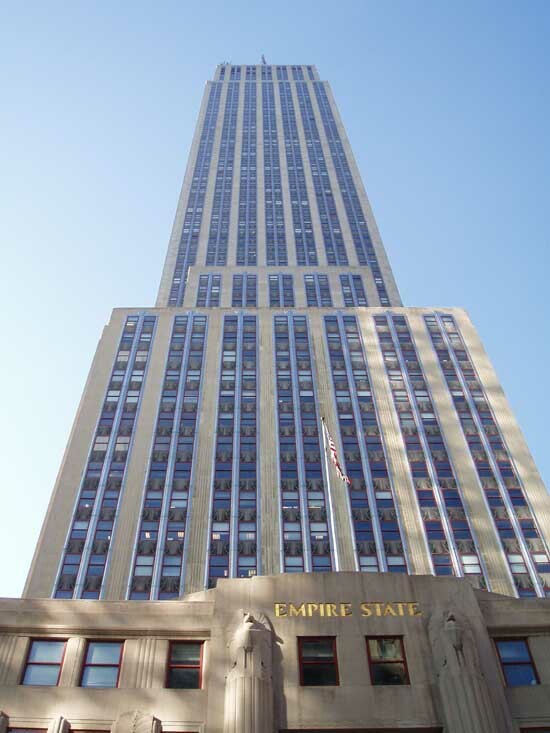 It is also the tallest building when measuring height to tip, and highest occupied floors. But this record will probably not last for long. Builders in Dubai and China have already started plans for surpassing the Burj Khalifa’s height. BOB DOUGHTY: Carlo Aiello is the editor of the magazine. He says that skyscrapers are clearly popular around the world because they provide a huge amount of shelter and use less land space. But he says they also act as representations of a country’s wealth and geopolitical power. He wanted the eVolo skyscraper competition to be less about the height of the buildings, and more about supporting environmental and community responsibility. The aim of the award is also to bring attention to the ideas of young designers. 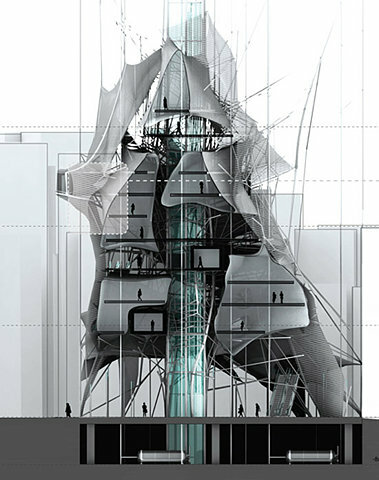 And, third place went to a team in the United States for their “Nested Skyscraper.” Built like a robot, this building can change, based on the conditions of the climate and city around it. The designers wanted to rethink the fixed and boxy skyscraper. Their building can bend, move, and change to be more useful in its setting in Tokyo, Japan. BOB DOUGHTY: And I’m Bob Doughty. You can comment on this program on our Web site, voaspecialenglish.com. You can also see pictures of the winning eVolo skyscraper design. Join us again next week for EXPLORATIONS in VOA Special English. 1. Before the technology of steel frames, tall buildings required ______________ . 2. The Empire State Building in New York is __________________ . 3. Spires are included in the measurement of a building's height _______________ . 4. 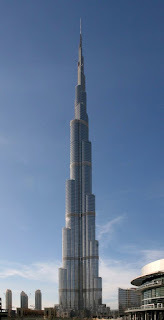 The world's tallest building today is located in _____________ . 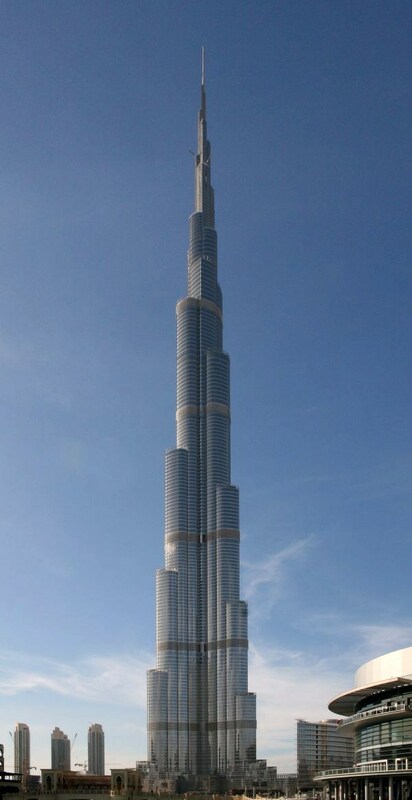 b: Dubai, United Arab Emirates. 5. The first place winner for the eVolo skyscraper design competition was ______________ . 6. One development that made very tall, modern buildings possible was ________________. 7. There weren't any skyscrapers before ___________________ . 8. One World Trade Center in New York City was never _______________ . 9. Another name for this article could be "_________________ ." c: Tall Buildings Outside the U.S.
10. This article is mainly about ___________________ . The architecture of the future, from the eVolo architecture competition. These are buildings your children might see in their lifetime.